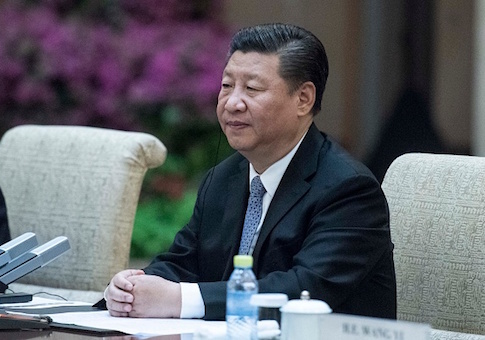 Such tests are closely monitored as part of the renewed focus by the Pentagon and U.S. intelligence agencies on China's growing military power. The hypersonic craft flew at an altitude of 18 miles and conducted what reports said were sharp angle maneuvers. The missile also tested what was described as a "heat-balanced thermal protection system." Russian President Vladimir Putin touted Moscow's advanced missile systems in development during a speech in March. "We've started the development of new types of strategic weapons that do not use ballistic flight paths on the way to the target," Putin said. "This means that the missile defense systems are useless as a counter-means and just senseless." The current defense authorization act for fiscal 2019, to be signed by President Trump next week, calls for the Pentagon's Missile Defense Agency to accelerate missile defense programs designed to counter hypersonic weapons. The legislation also requires Secretary of Defense Jim Mattis to submit to Congress a "validated requirement" for ground-, sea- and air-launched conventional prompt global strike hypersonic weapons in three months. "The only way I could confirm it would be to reveal intelligence information, and I can’t do that," Hyten told reporters in Omaha Aug. 1. 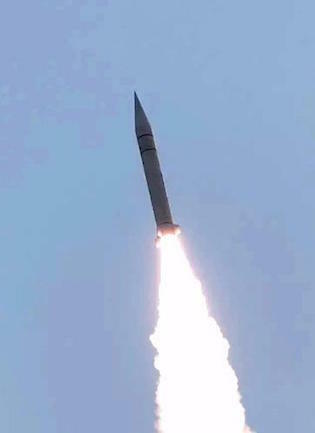 "But I can tell you that from open source information, the Chinese government and the Chinese military are conducting very aggressive testing of hypersonic glide capabilities," Hyten said. The U.S. military is "being aggressive as well," he added. "And what I’ve said in public before is as far as I can go today," Hyten noted. "In some areas in hypersonics, I would say that the United States is ahead of China and Russia; in other areas, Russia and China are ahead of where we are." Because both China and Russia are strategic rivals "that means we have to be able to go faster than our adversaries," Hyten said. "My view is that this is not an advantage that we can concede to people who wish to be our adversaries," said Griffin, a former NASA administrator. "And there is no reason why we should." Griffin described the threat from hypersonic missiles as not only nuclear delivery systems but for tactical strike weapons as well. "Very quick response, high speed, highly maneuverable, difficult to find and track and kill," he said, Defense News reported. Space-based defenses could be used to counter the high-speed missiles. "The utility of space for hypersonic defense is in the indications of warning, the launch detection, the surveillance, acquisition, tracking—the whole arena of persistent global timely awareness," Griffin said. On the United States lagging behind both nations' programs, Griffin said: "We didn’t see a need for it. But our adversaries get a vote, and they voted. So we’re going to see their hand and raise them one, in both offensive and defensive capabilities." "You’re going to see our testing pace stepping up, and you’re going to see capability delivery from the early '20s right through the decade," he said.